It wasn't the easiest. 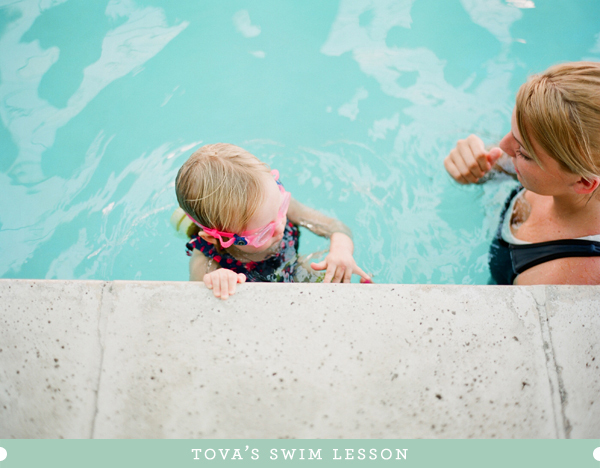 We started swim lessons for Tova when she was a year and a half old, in June of last year. 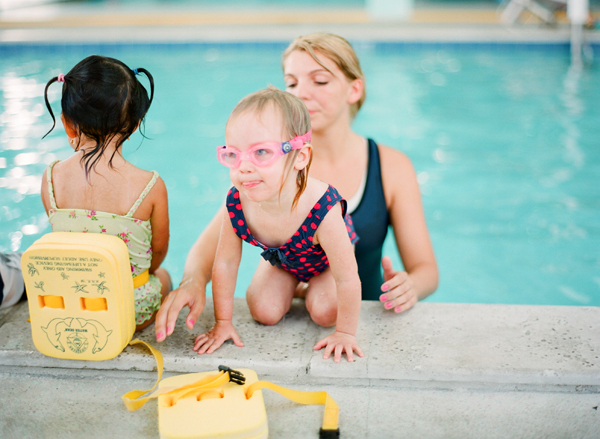 It was a parent/child class, and even I hated that. Haha. We only did about three months of those classes and then took a break. When we started up again this past June, there were a lot of up and down days. But Tova grew to really love her teachers, Ms Jenna, Ms Jessica, and Ms Amber. 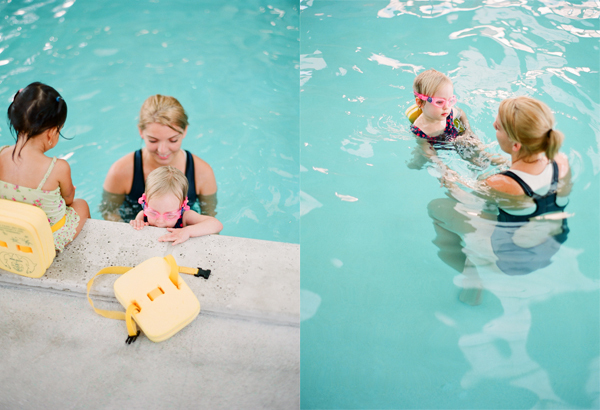 She looked forward to it, and even became comfortable being in the water without someone holding her. It was great! We're really sad to leave. 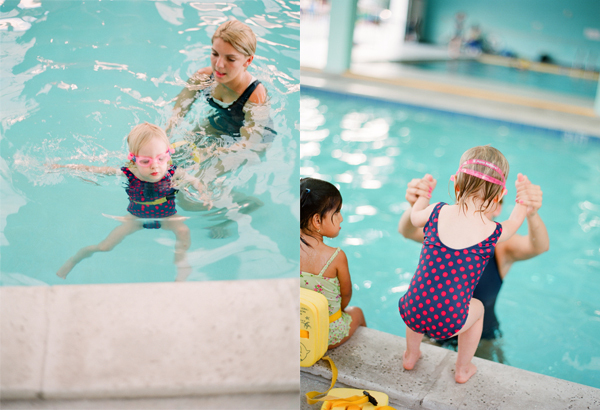 Being Florida girls, we'll always find ways to get to a warm beach here and there, but I guess swimming lessons aren't so common in Seattle. Maybe we can find some awesome nature-exploring classes instead!? This particular day was the only day David was able to come, because it was an evening make-up class. We woke T up from her nap to go. She wasn't very excited about it all, but at least she wasn't a crying mess! 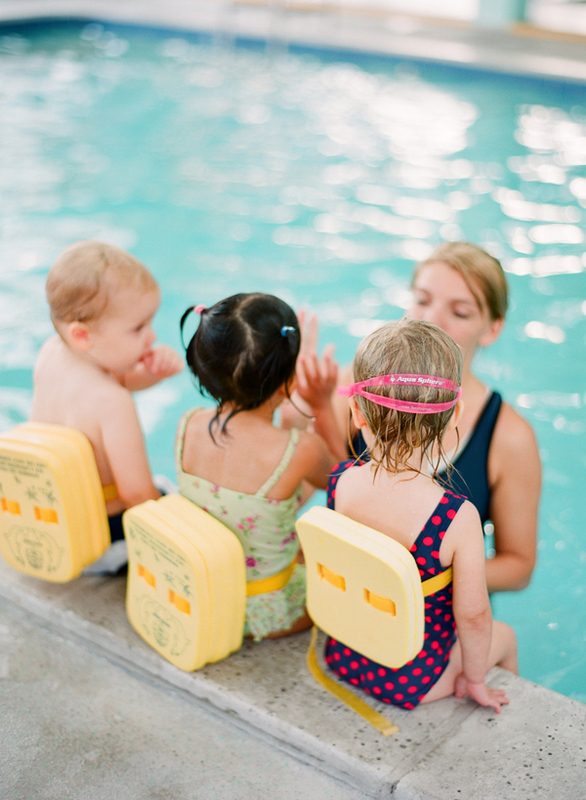 Note: 120 Kodak Portra 800 film on Contax 645 with Planar T* 80mm f2 lens. The colors in this post are amazing!